We had the great pleasure to meet and interview Vicki Croston today. She is the daughter of Rose Will Monroe who was an employee at Willow Run during the war and can lay claim to being one of the original “Rosie the Riveter”s. 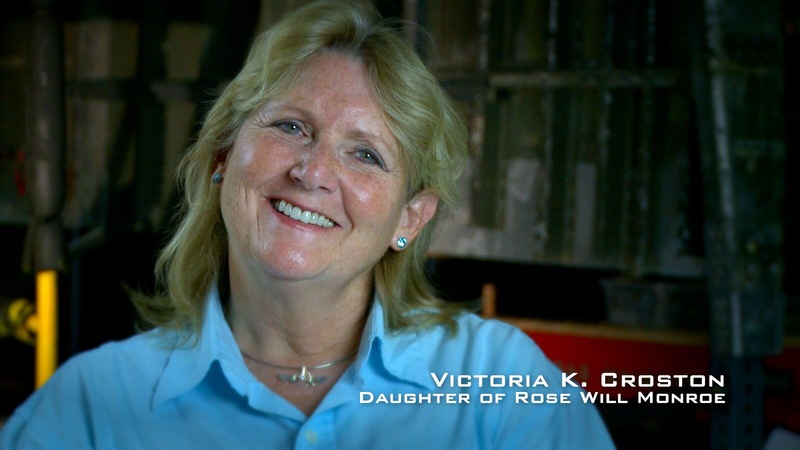 Vicki shared some wonderful stories about her mother – a single mom, coming from Kentucky to work at Willow Run from 1942 to 1944, where she was discovered by actor Walter Pigeon, and eventually starred with him in several wartime films. Watch for clips of Vicki’s interview coming soon!